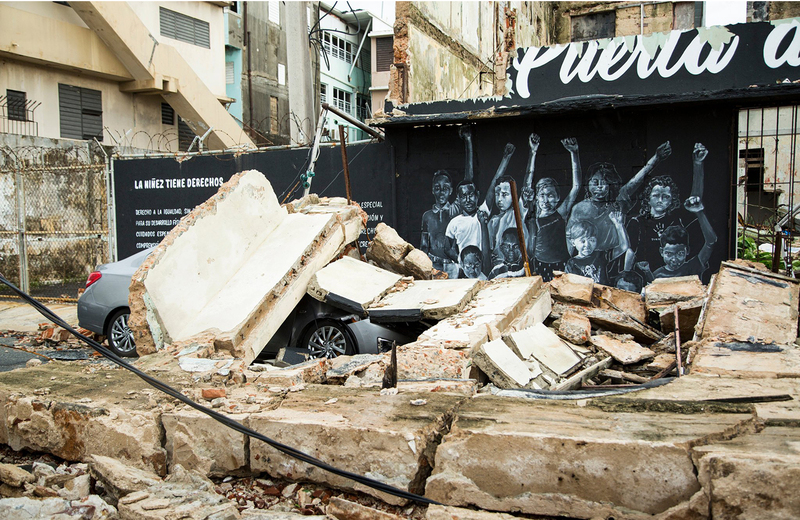 It has been a little over a year since Hurricane María fractured Puerto Rico’s infrastructure and its demographic and economic landscape. Currently, all the critical infrastructure—electricity, water, telecommunications, schools, and hospitals—is functional. The enormous effort and the amount of hard work put into removing millions of cubic yards of debris; patching up the electrical grid and the water treatment system; putting hospitals in working order; temporarily fixing damaged housing; among a host of other emergency response activities, sometimes under conditions dangerous to life and limb, should be acknowledged and recognized by one and all. However, a year after the storm a kind of nervous normalcy prevails in the island and while the amount of work that has been done since last year should not be dismissed, it is important to understand the magnitude of the task at hand and the challenges that lie ahead. The island’s economic fundamentals remain fragile, the electrical system is unstable, the Puerto Rico Aqueduct and Sewer Authority still needs electrical generators to back-up critical water pumps, and despite an effort from all sectors to be vigilant and prepared for another natural disaster, there is significant uncertainty as to how well equipped the central government and its municipalities are to face another storm. Furthermore, federal funds allocated thus far will not be sufficient to successfully rebuild Puerto Rico’s infrastructure. The Federal Emergency Management Agency (FEMA), using a model designed by the National Oceanic and Atmospheric Administration (NOAA), has acknowledged that total damages could add up to approximately $90 billion in Puerto Rico and the U.S. Virgin Islands. By the end of the 2018 federal fiscal year, estimates of funds appropriated for Puerto Rico disaster relief still range anywhere from $33 to $45 billion, or about half of what is anticipated to be necessary. And when compared to the total funds allocated to address the 2017 natural disasters, the amount obligated by FEMA’s individual assistance programs for Hurricane Maria’s disaster victims has been significantly lower than the portion obligated for victims of Hurricane Harvey or Hurricane Irma. As noted throughout the report, Puerto Rico’s current situation is extremely complex, a fact that should be considered and addressed early in the recovery process, before making decisions that could have permanent and damaging social and economic implications. Fully understanding the current lay of the land is important because Puerto Rico is the only jurisdiction, to the best of our knowledge, tosimultaneously go through a bankruptcy procedure, a twelve-year economic recession, a fiscal and debt crisis managed under the purview of a congressionally-mandated oversight board, and a large-scale recovery process after a massive natural disaster. In sum, the report seeks to frame Puerto Rico’s recovery process by providing a snapshot of where the island is today and how much federal money has been allocated, casting light on some of the reconstruction challenges, and igniting a discussion on the options available for a sustainable recovery. It is the first of a series that CNE intends to produce with the goal of educating policymakers about the nuances and complications they will face when designing long-term solutions for the island. This hurricane season has been particularly bad with major storms hitting Florida, Texas, Puerto Rico, the United States Virgin Islands, and several Gulf states. Total damages are estimated to exceed $200 billion. The Federal Emergency Management Agency (“FEMA”) is doing the best job it can with the resources it has at its disposal, but it is clearly reaching the limits of its capabilities. Under the American constitutional system, only Congress has the authority to enact a comprehensive relief and reconstruction package to address this situation.